Mount Pleasant police say emergency crews are working collisions on both side of the Ravenel Bridge. 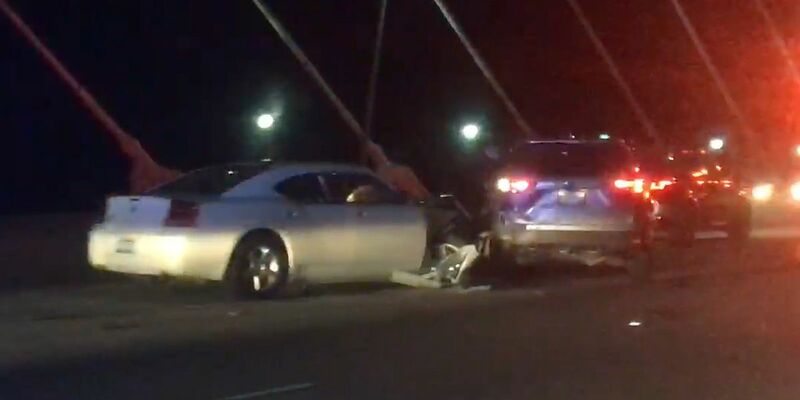 CHARLESTON, SC (WCSC) - Mount Pleasant police say emergency crews have cleared collisions that were on both sides of the Ravenel Bridge Friday night. According to emergency officials, the southbound incident involved injuries.